The Apple Watch hasn't been around for too long, yet car makers are already racing to get an app to market. BMW and Porsche have already come up with theirs, allowing drivers to access a number of car functions from the wrist. BMW and Porsche have released Apple Watch applications, giving those who don Apple's smartwatch the ability to remote control their vehicles. First up is Porsche's Car Connect app, which has scaled down most of the features available from its current smartphone app for the wearable tech. Drivers are able to control a variety of features, including windows, doors, the boot lid and the sunroof. The app even lets you lock your Porsche with a tap of the Watch face. Best of all – the app can locate your car using navigational instructions from its display. If that proves too difficult, then you can even sound the horn or flash the lights for that extra help in hand. Plus if you rock a hybrid Porsche model, then you can monitor its battery levels on-the-go to ensure you've got enough charge to make your next trip. Next up is BMW's i Remote app. It offers a similar range of features, giving i3 and i8 driver's full control over their hybrid motor's remaining range, heating and cooling systems, as well charging schedules. It also helps you keep track of the remaining range and easily locate the nearest charging points on a map. The "preconditioning" function works particularly well on all-electric and hybrid BMW models, as it allows the cars to be heated or cooled while plugged into the wall, which saves battery power at the same time. The Porsche Car Connect app and BMW i Remote app are already available via iOS and Android, if you wanted to same control from your smartphone. They may be first, but they definitely won't be the last. 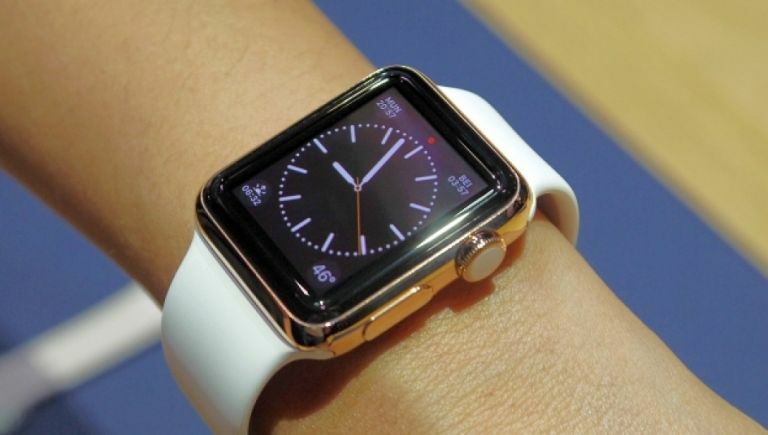 We expect more automakers to jump on the Apple Watch app wagon in the coming months.